When it comes to hearing aids, it can feel overwhelming and stressful to go through the selection and fitting process for the first time. Or, even if you’re a veteran hearing aid wearer, updating to a new device can mean getting used to new technology and features. If you’re fretting over selecting the right hearing aid and everything that comes after, review the following four frequently asked questions to help ease your mind. And, feel free to jot down your own to ask the hearing care professional during your next appointment. How do you know I need a hearing aid? It’s important to talk with your hearing specialist about what symptoms you have that indicate you need a hearing aid, in addition to what your hearing test results were. Your hearing care provider will discuss with you the results of your hearing test, the severity of your hearing loss and what pitches and frequencies you struggle most with. These factors will influence your hearing aid selection process. While there are a number of varieties within the categories, there are three main types of hearing aids: in the canal (ITC), in the ear (ITE) and behind the ear (BTE). Your degree of hearing loss, lifestyle factors and aesthetic wants will play a role in which hearing aid style is best for you. ITC hearing aids are ideal for individuals with mild-to-moderate hearing loss, ITE hearing aids are better designed for individuals with mild-to-moderately-severe hearing loss and BTE hearing aids are suitable for people with mild-to-severe hearing loss. What hearing aid features should I consider? There are a number of different features your hearing aid can be equipped with, from Bluetooth connectivity to directional microphones. What features you select will depend on your hearing loss needs, your budget and the style of hearing aid you select. Smaller hearing aids are generally not able to be equipped with as many advanced features as their larger counterparts. You can talk more with your hearing specialist to determine which features are most important for your particular needs. 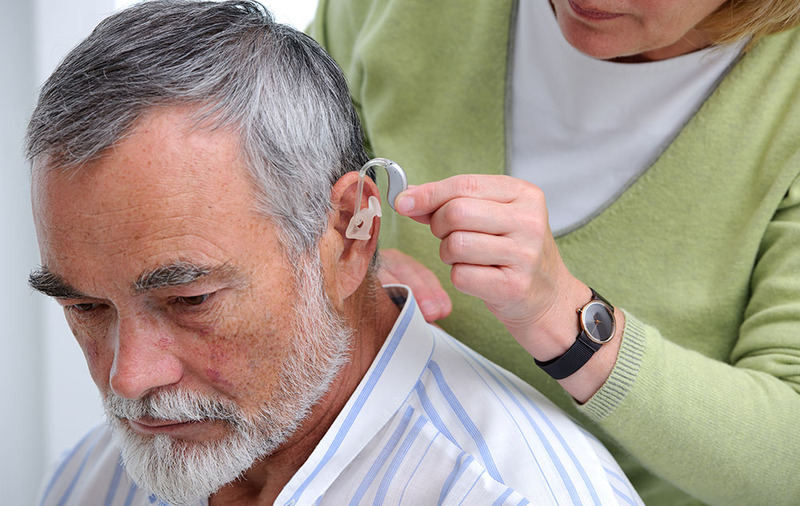 Once you’ve selected the right hearing aids, you might be wondering what comes next. Talk with your hearing healthcare professional about what you can expect at future appointments. One of the next visits will include a hearing aid fitting, the appointment where your hearing specialist will program your devices to your needs and physically fit them to your ears. You will likely have a follow-up appointment after this fitting to make any adjustments to your devices and to ensure you’re fully satisfied. Getting hearing aids doesn’t’ have to feel scary or overwhelming. Your hearing care provider will work with you closely to help you not only select the right devices, but get the most out of them as well.